Now Here Is My New & Latest Backlinks Service!! 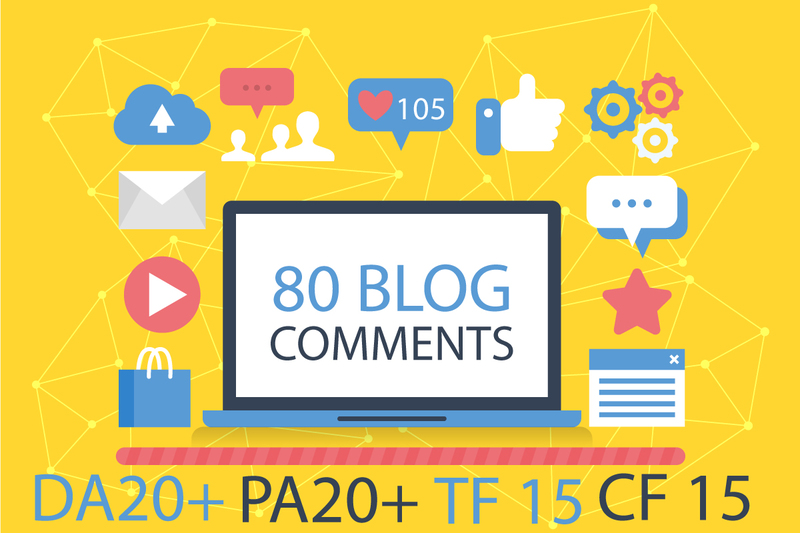 I Will provide 80 High Blog Comments Backlinks. Which will be a Manual SEO work with 100% Approved! This Service Will Boost Up Your Ranking High In Google And Different Search Engines. Don’t Miss That Chance Click your mouse to Order Now Button and avail this opportunity while it’s upon an unexpected amount you can imagine. 100% Dofollow, 100% Approved sites. Guaranteed you will love my service, Order now! For just $3 there's nothing to lose! do 80 Uniqe Domain Dofollow Blog CommenTs High Da25+ Pa20+ is ranked 5 out of 5. Based on 3 user reviews.